Laurie is a senior estate planning paralegal working primarily in the firm’s Providence and New Bedford offices, and has been a Massachusetts Notary for over twenty years. 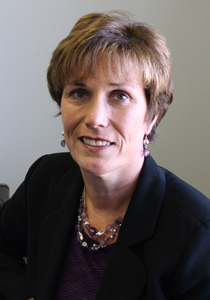 Prior to working for Lahti, Lahti & O’Neill, LLC., Laurie worked for over 18 years with a Rhode Island and Massachusetts law firm specializing in the areas of Estate Planning and Elder Law. During this time, as part of a merger, Laurie also worked with an International Law Firm in the areas of Estate Planning and Elder Law. Laurie started her career in Law working for 12 years with a General Practice Law Firm on the East Side of Providence, Rhode Island. Laurie graduated from Katherine Gibbs in the advanced legal studies program, and has attended extensive continuing legal education programs in the fields of Estate Planning Law and Elder Law. Laurie resides in Somerset, Massachusetts with her husband, Mark and their two children Brittney and Ryan. Licensed in MA and RI.